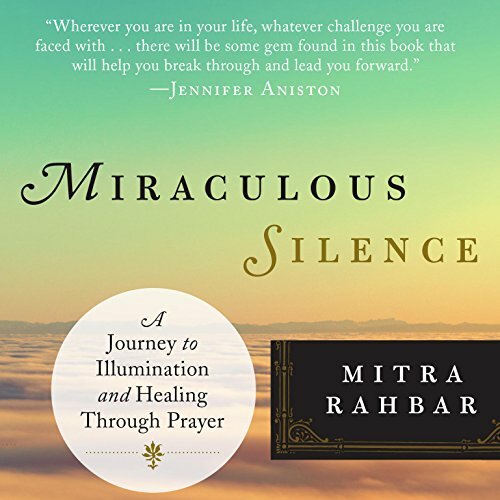 Showing results by narrator "Mitra Rahbar"
Mitra Rahbar has been a spiritual teacher for more than 30 years and has influenced Jennifer Aniston, Gisele Bundchen, and Sheryl Crow, among many others. In Miraculous Silence, she guides us through prayer and meditation and shares some of her own beautiful prayers. Like so many immigrants before her, Mitra Rahbar was challenged to find her way in an unfamiliar land. She was sustained by an ever-deepening prayer life that led her to her soul's core.